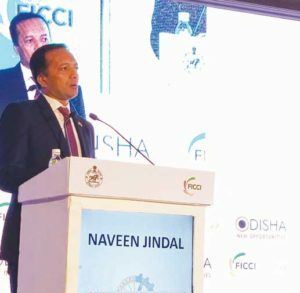 New Delhi: Chairman of Jindal Steel & Power Limited (JSPL) Shri Naveen Jindal shared success of JSPL in Make in Odisha Roadshow, organized today by Odisha Government in New Delhi. Mr. Jindal expressed his solidarity with the State Government in promoting sustainable development of the State through responsible industrialization. He said that his father Sri O.P. Jindal the Founder of OP Jindal Group had shared his dream of industrializing Odisha with the legendary leader Sri Biju Patnaik. Now JSPL is translating that dream to a Reality. Mr. Jindal informed that JSPL has been making in Odisha for last seven years or more and has invested more than Rs. 45000 Crore. JSPL’s 6 MTPA Steel making facilities in Angul is the largest in Odisha and 9 MTPA pellet plant in Keonjhar District’s Barbil is the largest pelletisation complex in India. Angul Steel Plant of JSPL which has the Blast Furnace is the largest India has been deploying the Coal Gasification Technology in Steel Making which is quite ecofriendly and unique . “This has been possible because of the stable government, visionary leadership of Hon’ble CM and exemplary work by bureaucrats and their team and for the blessings of the people of Odisha. We are sure that the State would continue to grow exponentially and emerge as the best in India,” he added. Mr Jindal also mentioned that besides being endowed with bounties of natural resources, Odisha has a large Skill Pool and has the unique encompassing Culture of which the Cult of Lord Jagannath is the binding force. 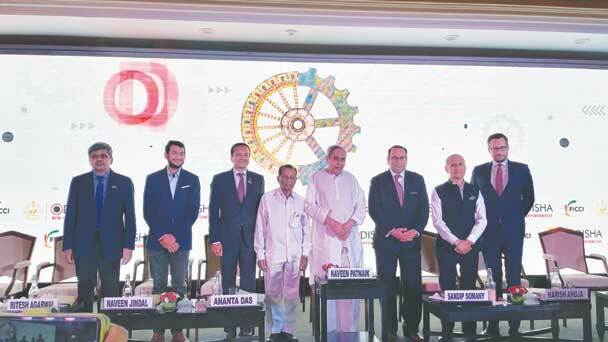 He invited the participants to visit Angul facilities during the make in Odisha conclave at Bhubaneswar, being organized by the State Government in November.